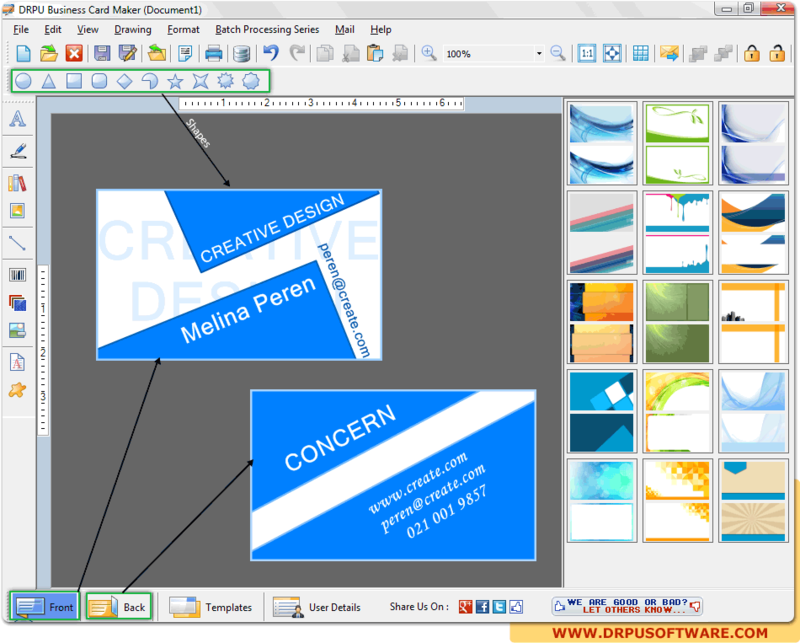 Design Business card using Templates, Wizard or Blank format. 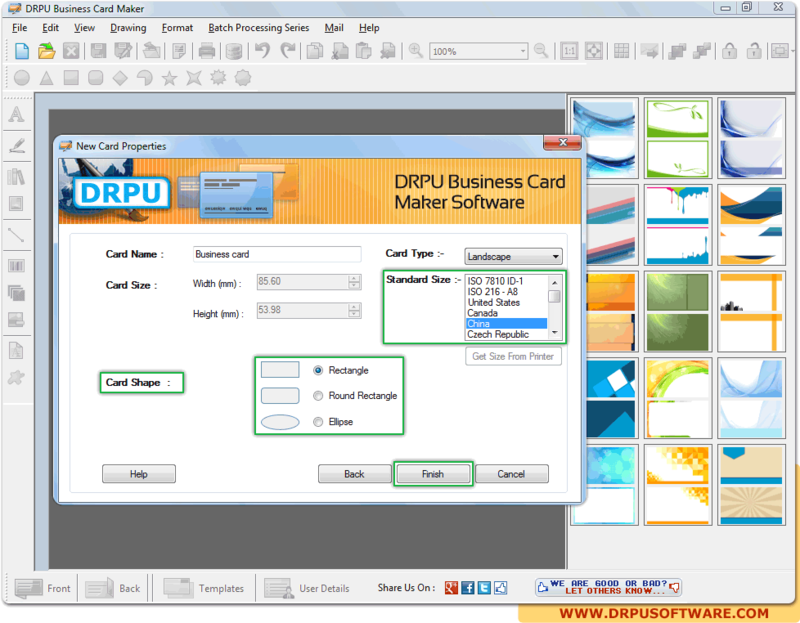 Choose shape and size of business card as per need and click on “Finish” button. 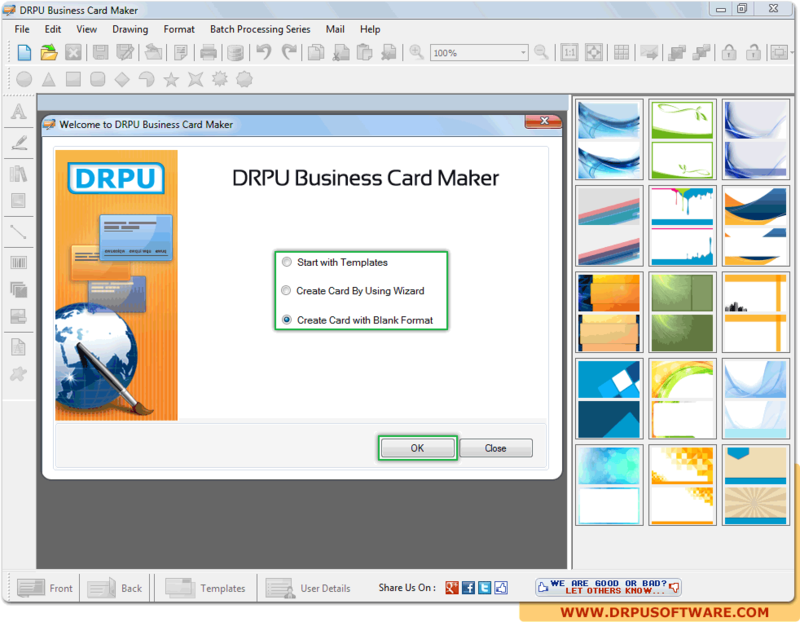 Screenshot shows designed business card with front and back view. 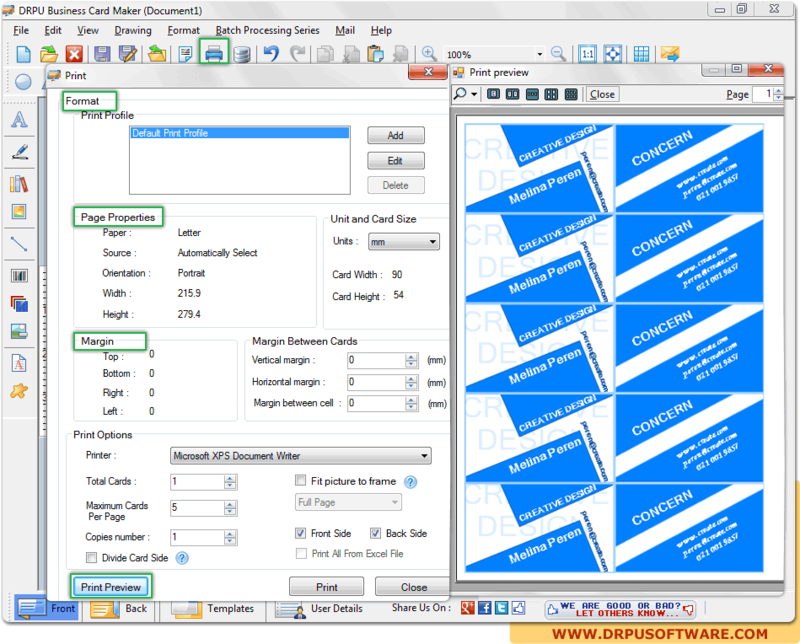 Print option allows user to set format of page as per need. Click on “print Preview” button to view designed business card.